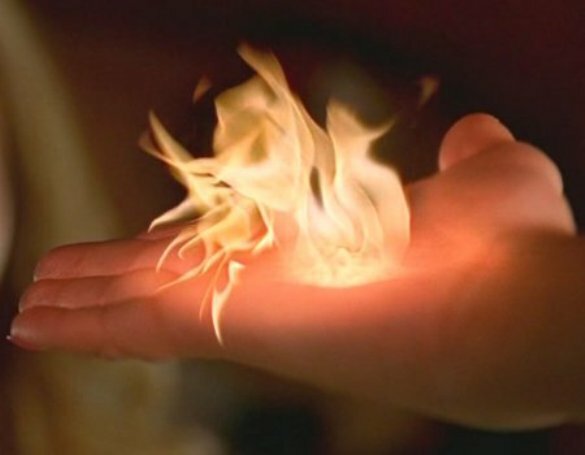 In May of 2012, an eleven-year-old Vietnamese girl living in Ho Chi Minh City (forever Sài Gòn to me) stunned the scientific community by developing pyrokinesis (as described in detail by Stephen King in his novel Firestarter). The news shocked the scientific community, not so much because of the pyrokinetic ability itself but because she was born naturally, to normal parents. After all, this ability is nothing new. It can be created in a laboratory setting. However, being born this way in a random occurrence of genetic roulette recombination could only mean one thing: the human DNA is evolving very rapidly, not in terms of hundreds of thousands of years but rather in a tiny fraction of that time. What is even more shocking is the fact that she was only the latest in the line of the naturally-born pyrokinetics. Just a year earlier, on March 24, 2011, a four-year-old girl from the Philippines also exhibited the same ability. It seemed as if these girls could start fires just by thinking about starting a fire, and doing so with full control of how and where the fire should start. A couple of years ago, when I first heard about these two young girls, I was thinking to myself, ‘What the heck is going on? Have we been recently invaded and our genetic material being manipulated? Are the young kids turning into hybrid aliens?’ And then of course, I laughed to myself and thought, ‘Nah. I’m just being silly. You see, I also remember reading a few other scientific articles about this very same phenomenon, but of course, being of the scholarly kind, they were not as sensational and rather more subdued and terribly unexciting. After all, that’s what scientists are suppose to do…write unbearably boring technical journals. Yesterday, I was reading a similarly unexciting science article that describes the discovery of the Quadruple Helix, also known as the G-quadruplexes, which exist within the human genome. In the past, quadruple helix DNA was able to be created in the lab, but had never been found in humans. Now, with more advanced technology, it has been identified in humans by using fluorescent biomarkers. Could it be possible that we are starting to see a brand new emergence of mutations that are heralding in a new age of G-quadruplexed humans? Digging for more information on this, I found more exciting possible clues. Studies done by scientists from Cornell University and the University of California discovered that when genes of over 14,000 people from around the world were examined, they were able to show positive identification of new, never before seen mutations, and these mutations have started showing up only within the last few years. The numbers are increasing rapidly. Going back fifty years ago, mutant genes would show up in only 1 in 1,000. Now, it is up to 5 in 1,000. This is a five-fold increase in the rate of mutation among humans. What’s even more interesting is that this can be seen as a huge increase of genetic mutation over a long period of time. Nature magazine reports a huge sudden rush of mutations amongst us, with the majority of the mutations occurring within the last 5,000 years. If we look at the human timeline, which extends back over half a million years ago when the first homo sapiens began walking around, it shows that there was a very, very long period of time when genetic mutations were flat-lined and stable, and that’s perfectly normal. That’s how evolution is suppose to work. It works over millions of years, not over a handful of thousands of years. And yet, that’s exactly what scientists have found. So as it is starting to turn out, if there are human hybrids, IT WOULD BE US, AND WE AREN’T DONE MUTATING YET!!! But don’t take my word for it. Professor Darren Kessner of Univerist of California has suggested that perhaps, among Earthlings there will soon be a huge group of “X-Men” type humans who will have abilities that we would consider to be super-human. We may be living in the last days of ‘normal’ humans, as more and more of these super-humans join the ranks of the natural mutants. I can only wonder if this is the beginning of the end of the human race as we knew it, or if this is the start of a new race of humans yet to come. Philippine News. Fire Starter or Pyrokinesis. March 24, 2011. University of Cambride Scientific News. ‘Quadruple Helix’ DNA Discovered in Human Cells. January 20, 2013. Nature Magazine. Analysis of 6,515 Exomes Reveals the Recent Origin of Most Human Protein-coding Variants. November 2012. I have to admit, I didn’t see it at first. How could there possibly be a connection between two utterly dissimilar entities? The I Ching is an ancient method of divination utilizing chance and the human condition, whereas Deoxyribonucleic acid, or DNA for short (can you imagine having to type that long name over, and over, and over?) is genetic material present in all life forms. One is a mathematical construct of the mind; the other, a physical construct of the universe. There is nothing that would tie the I Ching with genetic material. Nothing. Nothing until the I Ching is closely studied and compared with DNA, whereupon I could begin to see the parallels within the structures upon which they are formed. Believe me, it took a long time for me to grasp this concept because I kept getting lost in the higher levels of complexity that is wrapped around just about any written work I could find on the subject due to the fact that the authors of these types of subjects are not simple Tao Babes like me. They are Tao Masters and PhDs; highly erudite, advanced folks. These types of people don’t really write in the kind of language we normally use to discuss anything interesting. They take the most interesting subjects and make them BORING AS HELL to have to wade through!!! (OK, end of rant. Back to the subject at hand). It was only when I took Lao Tzu’s advice to keep it simple stupid did I finally figure it out. Well, ok, he didn’t say exactly that, but I know he said at some point in his life, to someone, somewhere, to keep things simple. It just seems to me that this is what he would say if he was around and I could ask him for advice. To simplify the matter, I am going to break it down to two basic components: form and function. First of all, there is an easily visible PATTERN to their forms. Both DNA and the I Ching use a basic set of patterns to build up their forms and functions. Think of the pattern as a set of blueprints or a recipe to replicate something. These patterns can be mapped using templates that allow us to make analogies and create metaphors using symbols, letters, and numbers which represent objects, ideas, and relationships—metaphors that our minds can grasp and make sense out of. Since there are only four DNA base pairs, we could have used anything to represent them, but it was easier just to use the first letter of each of the base pairs to represent each base: A for Adenine, T for Thymine, G for Guanine, and C for Cytosine. Combine the four letters and a single set is created. Combine the sets into a grouping of three sets and you get a codon (4 x 4 x 4 = 64). There are 64 combinations that can be created for each codon group. We take these codons and attach them to a double helix shape and voila, we have mapped the basic DNA structure. Now remember, the Universe has to create an entire world of diversified life forms, from plankton to oak trees—from humans to dinosaurs, and it must do so using only those four measly nucleotides, grouped into 64 possible combinations. How does DNA do this? It does so via a process which has been described as “Complexity from Simple Rules” which is the process of generating infinitely complex structures based on an extremely simple equation involving complex numbers. In other words, within the presence of complex patterns there is a good chance that a very simple process may be responsible for it. From this simple equation, we can get incredible formations that can be seen in living entities like this closeup of a cauliflower. It can produce these seemingly random dots on this leopard’s fur coat. Even the clouds in the skies follow the Mandelbrot Set, containing within its patterns, a degree of order. In life forms, it reveals a process whereby the replication of genetic material is used to pass genetic information onto future potential offspring. The replication of the pattern is almost identical each time it is replicated—almost but not quite, so that from the tiniest variation arises a multitude of random-looking replicas. The I Ching hexagrams also follow a pattern. This pattern starts off with two lines, one broken (yin) and one unbroken (yang). Square the 8 trigrams with themselves (8 x 8) and we get the full I Ching set comprising of 64 hexagrams. OK, so we have established the basic forms of the I Ching and DNA. Onward we march. To simplify this even further, I will compare them side-by-side so we can more easily see the parallels. 1. They are both Containers – Their forms serve a very important function, that of containing very specific and replicable information. DNA contains genetic material and the processes by which to form the biological, physical body of not just humans but everything alive. The I Ching contains the philosophical and psychological processes by which to form the changing and transitional states of the human mind and spirit. This also includes the changing transitional state of the Universe, because the human mind is the microcosm of the microcosmic universe. In the modern world, we have been taught to value that which is quantifiable and therefore believe that the physical realm is all there is, but in reality, we need both the body and the mind and spirit to be a complete human. 2. They both communicate using Binary Computer Language – Remember the principle of simplicity in complexity that I talked about earlier? Well, this is part and parcel of the same thing. The unit of information in bits contains a simple choice between two opposite but complementary numbers: zero or one, yes or no, absence or presence. This is basic binary mathematics, and also the language of the universe. Since both DNA and the hexagrams can be broken down into binary sets, they are using the same language pattern. Remember, there are only four combinations of Yin and Yang: resting yin, moving yin, resting yang, and moving yang. If Yin can be represented by 0 and Yang by 1, the only possible combinations would be 00, 01, 10, 11. These four choices align with T, C, G, and A. So what? You may say. Just because they use the same alphabet does not mean they understand each other and can correlate with each other in any meaningful way. Well, that is true. I am fluent in English as well as Vietnamese. Both use the alphabet system, but the two languages are worlds apart. The alphabets are put together to create a multitude of phonemes which hold different meanings depending on which language is used. In this case, they use the same alphabet but the alphabets synthesize into two different languages. This is not the case with DNA and the I Ching. The two not only use the same alphabet, they actually speak the same language and if they were to exchange information, would understand each other perfectly. Martin Schönberger, a German scientist who wrote the book The I Ching & the Genetic Code, recently discovered that the two Codons which contain the genetic-chemical message “to stop” have the same numeric structure of hexagram 63, After Completion, and the Codons which, so to speak, act to say “Go” on a genetic level, correspond to the opposite hexagram 64, Before Completion. In the DNA they serve as punctuation between code sequences. In the I Ching, we have hexagrams # 63 and # 64, which serve the same purpose. 3. They both have a Duality Process . DNA is the blueprint which tells the cells how to create proteins, whereas RNA is the reverse copy of DNA which carries out DNA’s instructions for protein production. This corresponds with the Yin (the yielding), which ‘yields’ or delivers the information and the Yang (the firm), which ‘firms up’ or utilizes the information and causes changes. It amazes me that it took me so long to understand how it all fits in together, but the process of remembering is arduous and uneven, the dots often too far apart to connect without the intermediary dots that have yet to appear. The picture formed is fuzzy at best, but it is still in the process of forming. What gets me excited is that this picture has two anchor points (among many) going from the I Ching and connecting directly with DNA. This is why I am belaboring the similarities between the two and feeling my way around in order to prove HOW the I Ching and DNA are intricately tied together. WHY it is tied together is a big question which requires extensive elaborations, and I have spent two days working on this comparison posting so I will get into the detail of the WHY in my next posting. Until then, au revoir, my friends. Schonberger, Martin. The I Ching & the Genetic Code. Aurora Press. November 1992.